About the Author: Julia Elliott’s writing has appeared in Tin House, The Georgia Review, Conjunctions, The New York Times, Granta online, Electric Literature, and other publications. She has won a Rona Jaffe Writer’s Award, and her stories have been anthologized in Pushcart Prize: Best of the Small Presses and The Best American Short Stories. 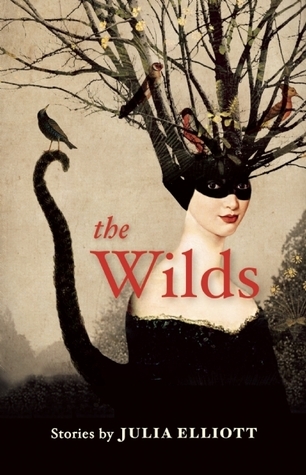 Her debut story collection, The Wilds, was chosen by Kirkus, BuzzFeed, Book Riot, and Electric Literature as one of the Best Books of 2014 and was a New York Times Book Review Editors’ Choice. Her first novel, The New and Improved Romie Futch, arrived in October 2015. She is currently working on a novel about Hamadryas baboons, a species she has studied as an amateur primatologist. She teaches English and Women’s and Gender Studies at the University of South Carolina in Columbia, where she lives with her daughter and husband. My Review: These stories really did have a potential, but I came away from each one feeling dissatisfied. I liked some of the stories yet hated how they ended. The writing itself is great, I just never felt like I knew what the heck was going on. Very disappointed.